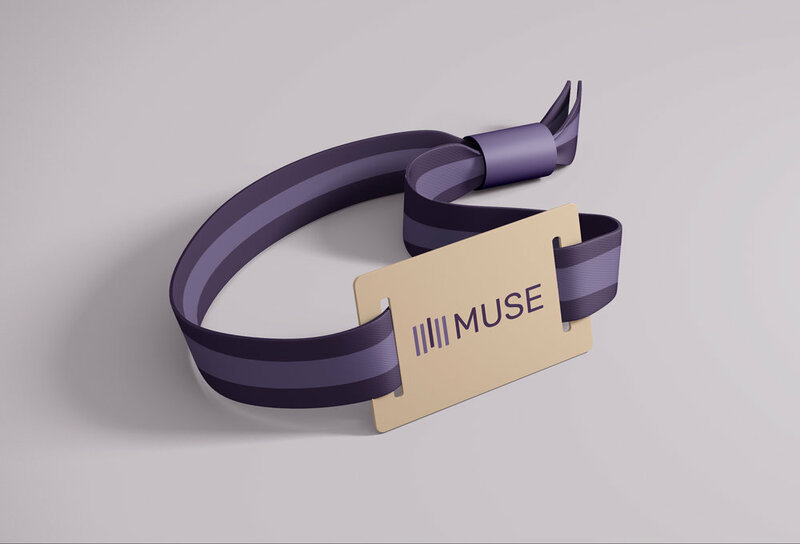 Muse is a monthly subscription service that curates live music experiences through user personalization. It focuses on getting the user to explore and learn about new areas of their city through music. 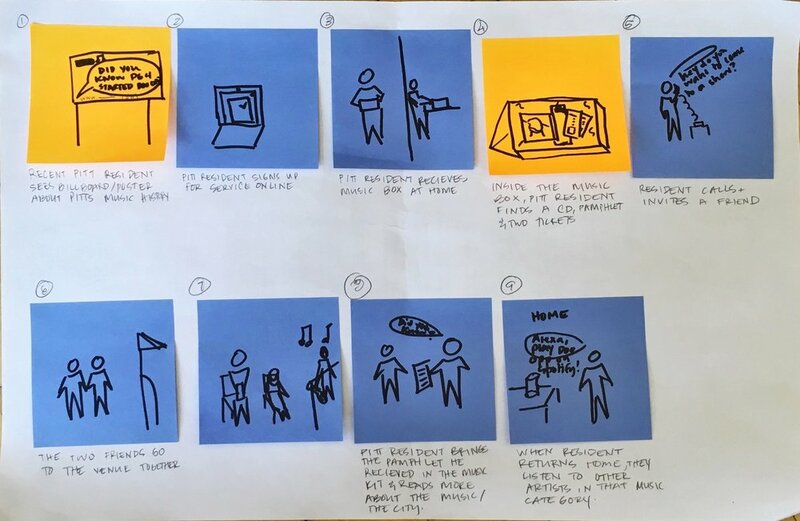 How might we design a music service that provides a curated experience for users to help them explore their city's history and culture? What is the current market landscape for event tickets and subscription boxes? What are users current experiences with subscription box services, specifically the reasons them keep subscribing or stop subscribing? What are current methods of discovering music events in a city? What is the level of personal knowledge that users have about their city’s music history? Based on the research we performed, we developed key insights which informed our design principles that we used during the concept development phase. People are interested in experiencing and learning about topics that are specific to them. This is what draws them to seek out assistance in discovering new experiences. 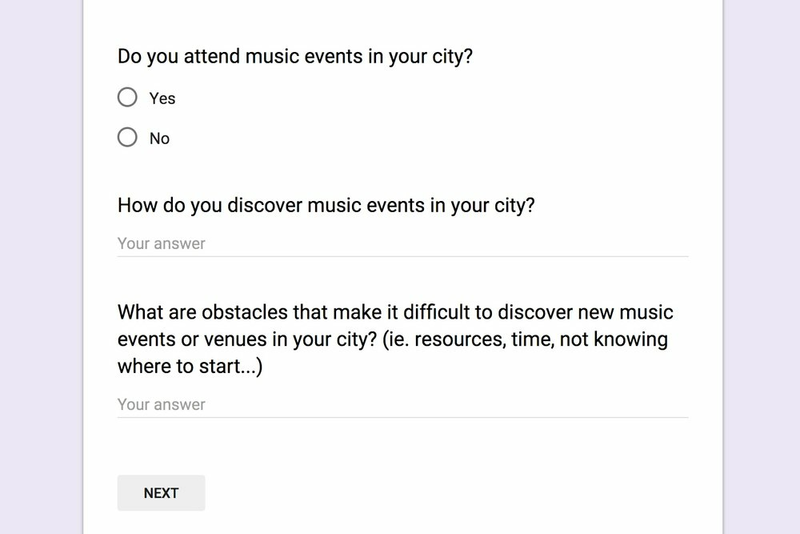 The time required to research for events is a major frustration and most users uses 3-4 methods for learning about music events, which was frustrating to keep track of. Users like the feeling of receiving a “special package,” but felt they lacked control over the content in the subscription boxes because they did not always like what they received. Developing partnerships with businesses can be difficult, if the value exchange is not clear. Trust and quality of experience play important factors in getting users to return to a service or business. Our service should afford personalization for the user. Our service should include elements of discovery for the user. Our service should leverage partnerships with local businesses to provide value benefits to our user. Our service should leverage automation, while still preserving a sense of human connection with the service provider. Our service should incorporate a physical element that the user receives. We decided to explore services that would use music to help individuals learn about their city's music history and discover new areas of their city. 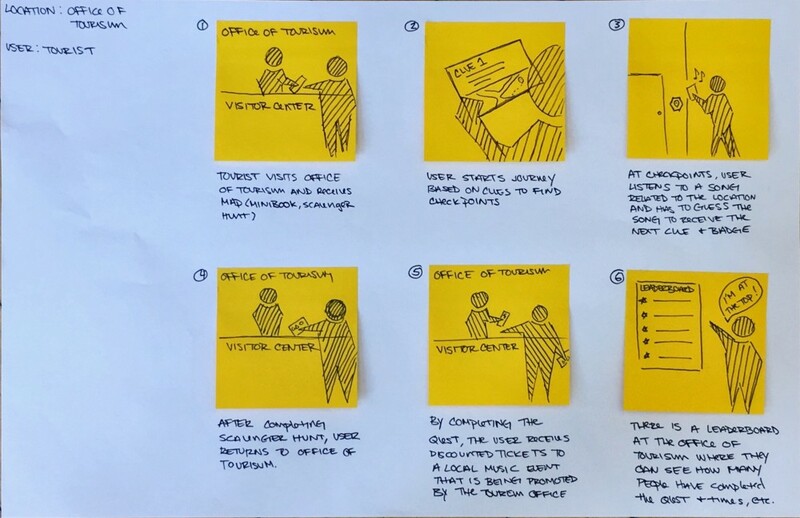 We explored concepts that targeted two different user groups: tourists and locals. Based on feedback, we moved forward with the subscription box concepts and further refined our concept taking into consideration how we would leverage partnerships and provide curated experiences for users at a low cost. 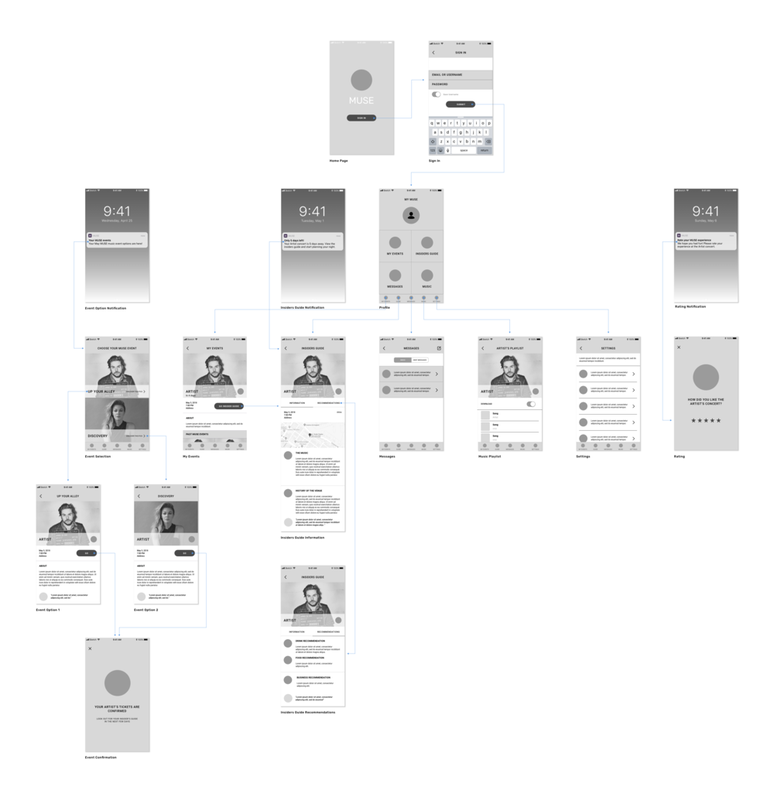 As we refined our concept, we worked on designing the service experience as a whole (service blueprint, value flow) and the individual touchpoints (mobile app, ipad app, welcome box). Through iteration and refinement, we designed Muse, a music event service that utilizes user personalization as a means to curate a fun night out for its users. 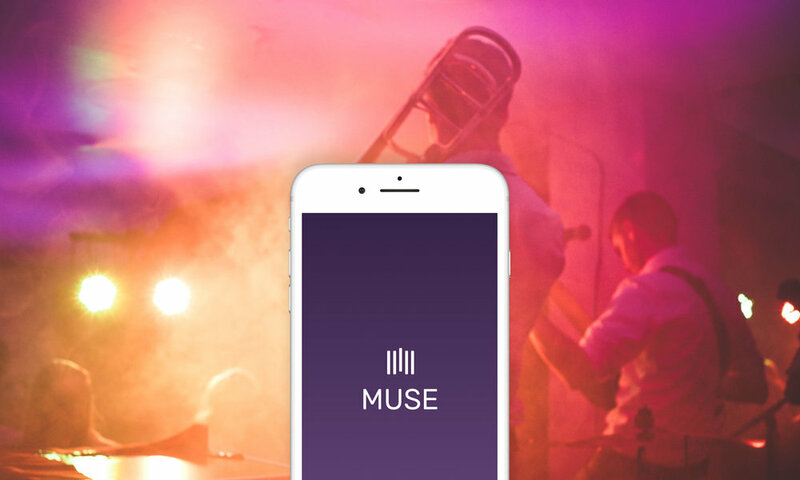 Muse leverages venues, local business, and local artists to promote each other, while Muse in turn promotes them through a curated guide that is sent to the Muse users. Muse uses personalization to curate music experiences for each user. Users are able to select the music genres they are interest in, as well as the topics of interest about their city. 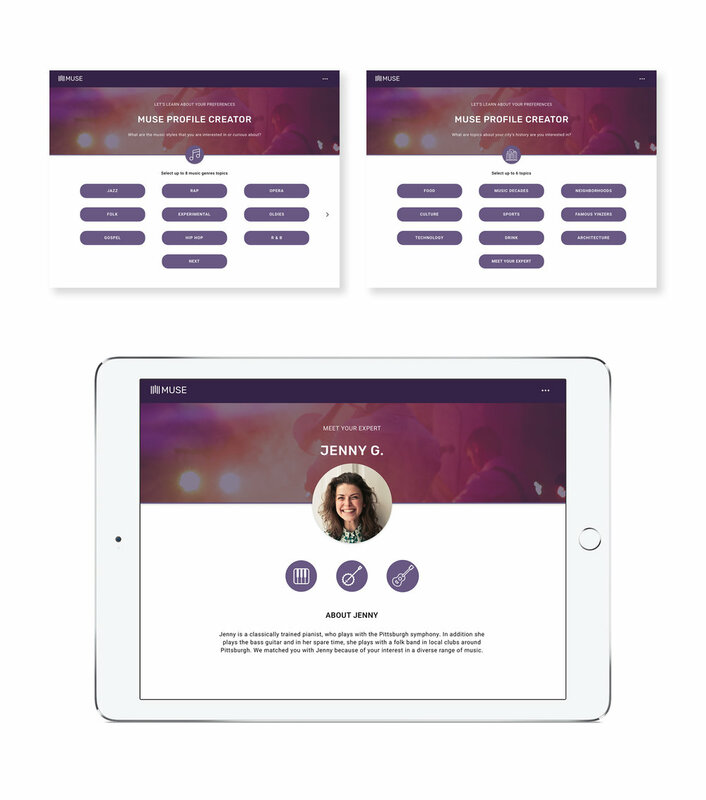 This personalized user profile is used to match each user to a music expert, who plays a role in the curation process. Based on the music genres selected, the user receives two music events to choose from: one that is “up the user’s ally” and one that is a “discovery”. 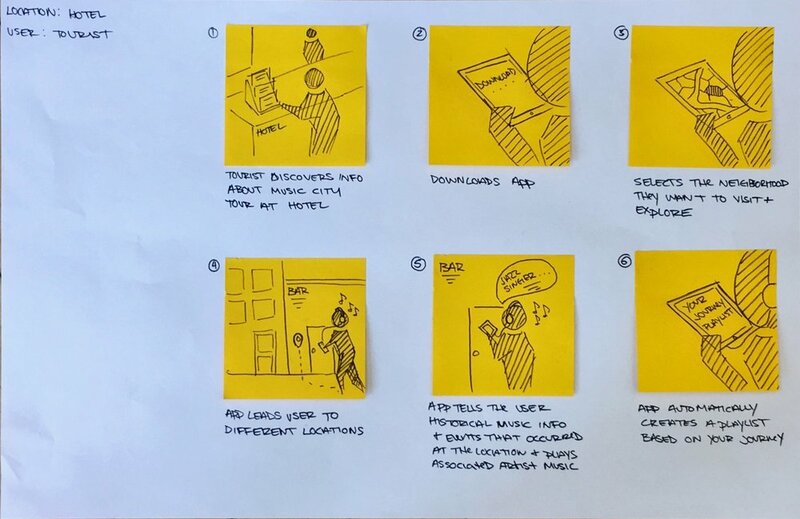 By providing the user with two choices, it provides the user the sense of control they desire while reducing the time-consuming searching that was a main frustration. Based on the city topics selected during the profile creation, the insiders guide is personalized to feature information around those topics, in addition to information about the music artist. 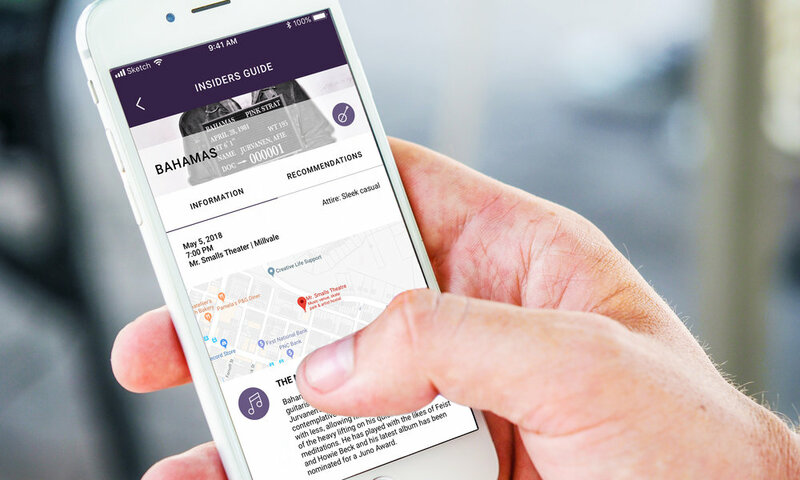 For example, if the user is interested in food and architecture, their insiders guide would feature restaurants and bars, as well as history about the venue. After each event, the user is asked to rate their experience to further refine the algorithm. They are able to download the music they heard through a partnership with a third-party music streaming service, such as Spotify. This download information is collected to further learn about the user’s music preferences refining the algorithm and user’s Muse experience. 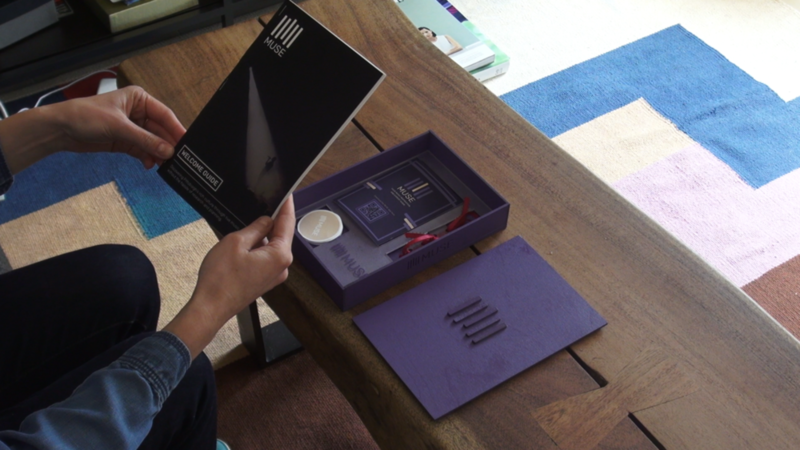 We designed the visual style to complete the look and feel of our service, as well as prototyped the welcome box and its contents to demonstrate the physical element the user would experience. This project was an exercise in understanding all the elements that must be taken into consideration when designing a service from understanding the relationship between the front-end and back-end to the balance of value that must be developed and exchanged between multiple stakeholders. 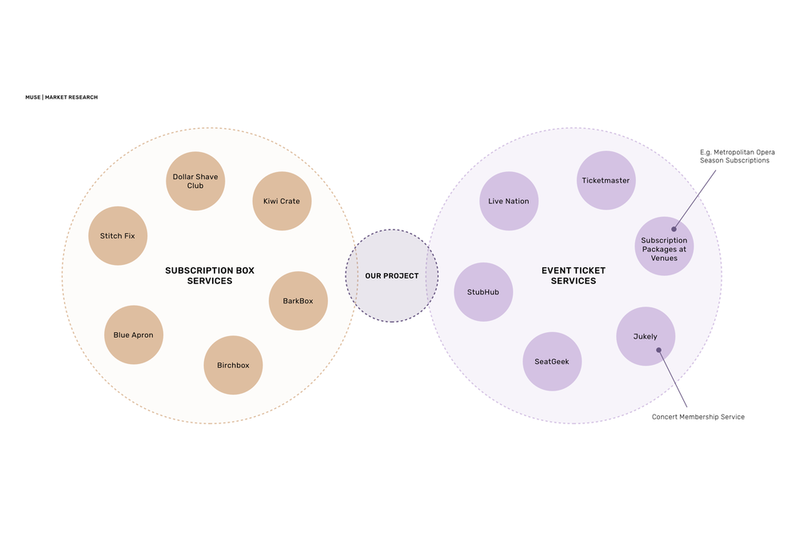 For next steps, since this project focused on designing the service framework, I would like perform user testing of our final concept and the different touchpoints. In addition, I think we could further explore the elements that would go into how our service would make connections and establish partnership with local venues and businesses.